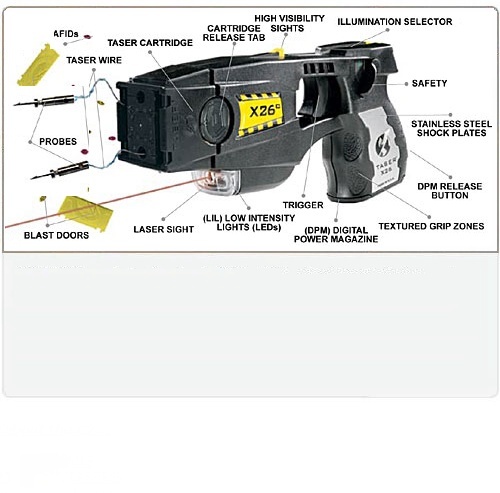 Utilizing the same technology and modeled after the police TASER X26™, the TASER X26C™ civilian model packs the same features including laser sight, LED, digital pulse controller and central information display. TASER X26 Refurbished, Laser Sight, Duty Holster, and One Year Warranty! 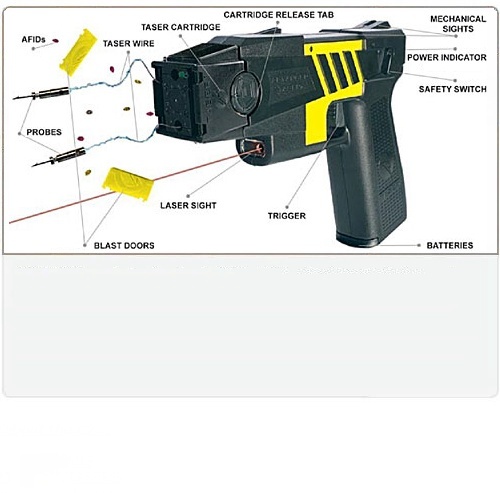 ADVANCED TASER Weapons fire 50,000 Volts up to 15 feet. M18™, M18L™ and M26™ TASER Weapons have been replaced by the TASER X26™, but they are widely available secondhand. Cartridges are all interchangeable. The TASER C2™ can stop a threat up to 15 feet away allowing you to protect yourself and your family from a safe distance. You can also use the C2 as a contact stun device - a powerful backup capability. The TASER C2 utilizes the most powerful takedown technology available today - the same that law enforcement uses. FREE Shipping & Handling anywhere in the U.S.A.
No Sales Tax charged in most cases. FREE Shoulder Holster - with every TASER order! Shoulder Holster is a $150.00 Value! $100.00 Trade-in on Your TASER C2! 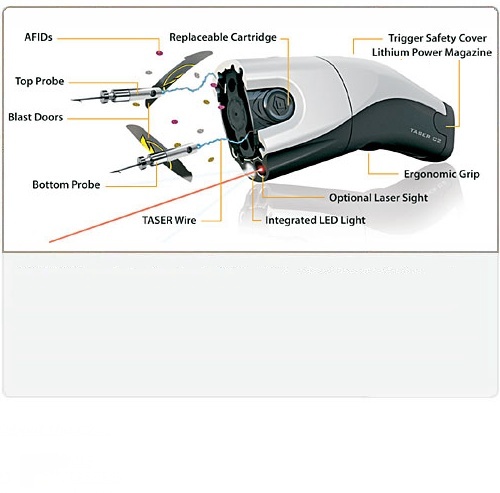 $200.00 Trade-in on Your ADVANCED TASER!